I am getting lot of questions on different types of VLAN tagging and how it works and how to configure it and they are even wondering that there is no specific setting named "VLAN tagging" in vsphere host network settings. Let's cover from the basics.. 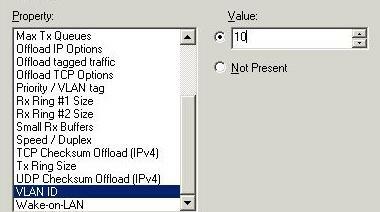 There are 3 types of VLAN tagging avaliable in Vsphere. There is no specific settings named "VLAN Tagging" is avialable in the vpshre host network settings. VLAN tagging is determined by the VLAN value specified at the port group and it tells the vswitch or Phyiscal switch or Virtual machines to how to handle the VLAN tagging. 1.1 VST uses 802.1q VLAN trunks and tagged traffic. 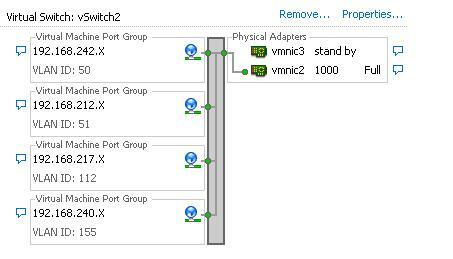 1.4 vSwitch responsibilty is to strip off the vlan tag and send packet to virtual machine in corresponding port group. 1.5 Reduces the number of Physical nics on the server by running all the VLANs over one physical nic. Better solution would be keep 2 nics for redundancy. 1.6 Reduces number of cables from ESX server to physical switch. 1.7 The physical switch port connecting the uplink from the ESX should be configured as Trunk port. 1.8 virtual machine network Packet is delivered to vSwitch and before it is sent to physical switch the packet is tagged with vlan id according to the port group memebership of originating virtual machine. 2.1 In EST, ESX host doesn't see any vlan tags and does not handle any VLAN tagging. 2.2 All the tagging operation is done by physical switch and virtual switch is not aware about that. 2.5 Count of NICS and cable connected to ESX is more as compared to VST approach. 2.6 The physical switch port connecting the uplink from the ESX should be configured as Access port assigned to specific VLAN. 2.7 virtual machine network Packet is delivered to physical switch without any tagging operation performed by the virtual switch. 3.1 you must install 8021.Q VLAN trunking driver instide virtual machine guest opearting system. 3.2 All the VLAN tagging is performed by the virtual machine with use of trunking driver in the guest. 3.3 VLAN tags are understandable only between the virtual machine and external switch when frames are passed to/from virtual switches. 3.4 Virtual Switch will not be involved or aware of this operation. Vswitch only forwards the packets from Virtual machine to physical switch and will not perform any operation. I hope it will be helpful to understand the concept of VLAN Tagging with the simple language. Happy reading.....!!!!!!! ESXI VSPHERE CLIENT ERROR " YOU DO NOT HAVE PERMISSION TO LOGIN TO SERVER"